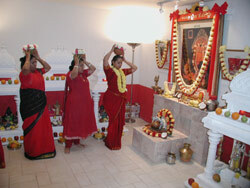 Established in 1985, Lansdale Sakthi Mandram of Lansdale, PA was the first Mandram ever established in the United States and one of the first established outside Tamil Nadu, India. 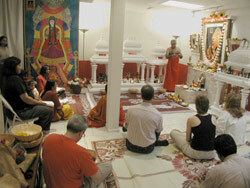 Many of the devotees currently in the United States had their first exposure to Amma and Goddess Adhiparasakthi through this Mandram and have since gone on to start their own Mandrams in New York, Washington D.C. and elsewhere. 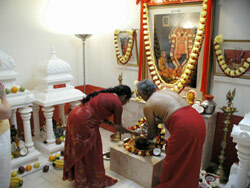 Weekly poojas are conducted every Saturday at 2:00 PM in the Temple at the home of Dr. and Mrs. Thiyagarajan in Lansdale, PA. Special monthly poojas are typically held on the last weekend of every month. Anyone is welcome to come but please call ahead. 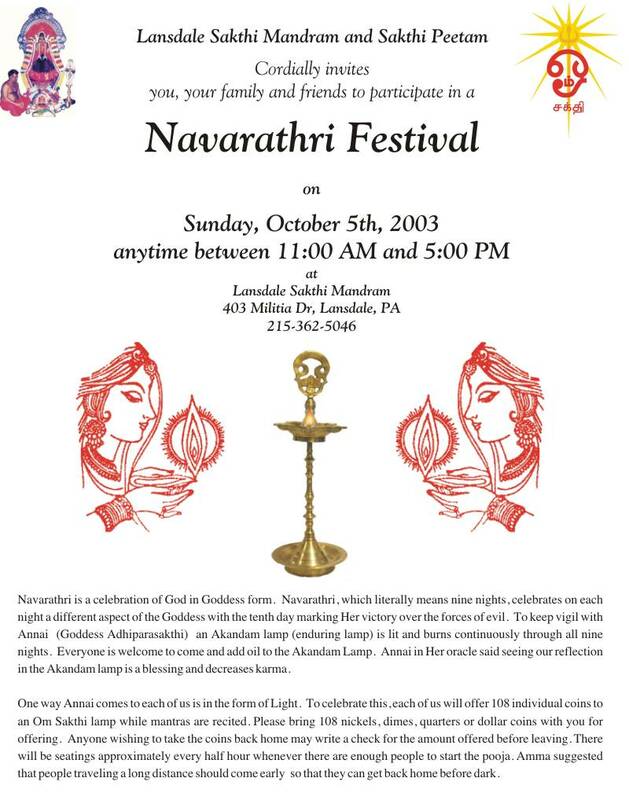 When Amma visited the US in September 2000 S/he said that Lansdale Mandram will be getting a statue of Adhiparasakthi as all Sakthi Peetams in India have. This is a momentous occasion since it would be the first statue installed outside of India. Amma also said that we should go the the beach and find a swayambu (stone representing the Goddess) and install it at Lansdale. 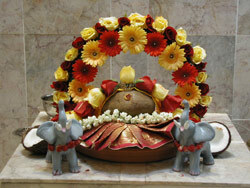 We were able to find Her and She was installed during the Adipooram function on 8/25/01.